Recently Vulnerabilities have found in the companies named Apple, Amazone and Google’s voice assistant apps. A group of researches claimed that companies are busy in making the Voice Assistant Apps smarter but the new launches of the Voice Assistants are vulnerable to the malicious voice commands. 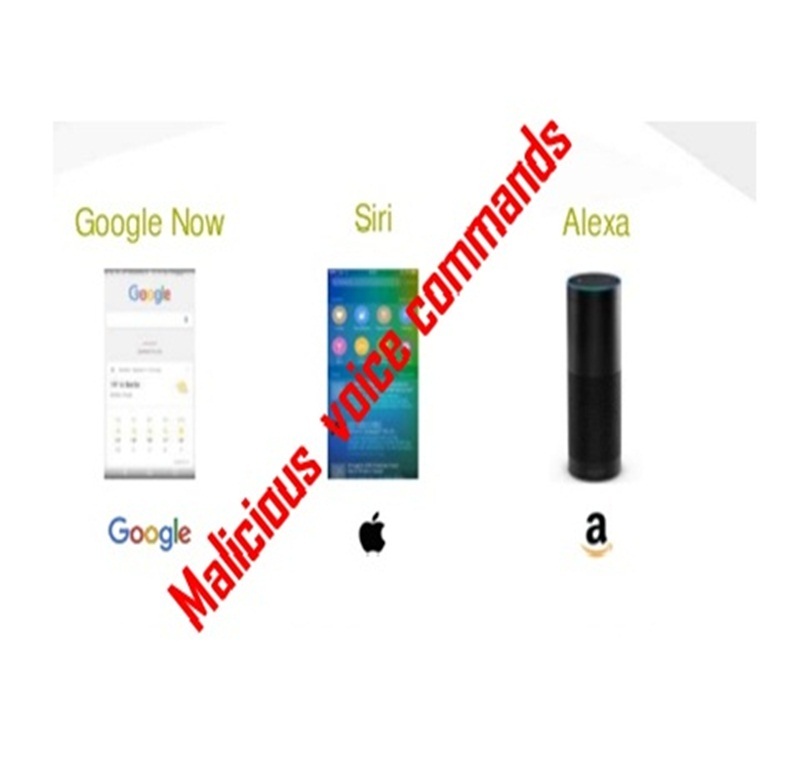 Alexa, Siri and Google Assistants are exposed to the hidden malicious voice cammands. As the smartphone Al feature is growing, each company is tried to make the voice assistant apps smarter and smarter, and want to see its voice assistant apps more friendly, accurate and perfectly answered to its users. Recently a group of researchers from China and US have disclosed the research based on the testing of the hidden commands that are undetectable to the human ear can be sent to Alexa, Google Assistant and Siri. According to the report of the NY Times, these malicious hidden commands are able to activate the Artificial Intelligence System on smartphones, and permit the attackers to dial phone numbers and opened the websites without knowing its users. Attacker can get benefit from this security leverage, and use voice enabled smart-devices like Amazon Echo, Apple Homepad or Google Home Speakers, hide the voice commands within music and spoken text recordings. ” OK Google, browse the evil.com” it is recorded in a spoken phrase ”Without the data set, the article is useless”. Researches used the loophole to insert this command into four second clip from Verdi’s Requiem in music files. China’s academy of Science and other institutions researches have revealed that how they could control voice-activated devices with commands inserted in songs. A researcher at Georgetown, Tavish Vaidya wrote on paper of audio attacks, told NY Times, ”Companies have to ensure user-friendliness of their devices, because that’s their major selling point.” Discussed voice assistants companies are yet to produce a fix for the issue, that will effect big number of smartphones users. Till now, hackers did not exploit this technique in real world. But they have digital assistants unlock doors of smartphones like transfer money through banking apps and do buy items from online retailers all without making aware to the user. White noise is a random signal having equal intensity at different frequencies giving it constant power spectral density. White noise has equal distribution of energy and its frequency spectrum is flat like fan noise is approximately a white noise.